began his dance training at the age of 8 in northern California. He attended the University of Arizona to further his training of Ballet, Modern, Jazz, and Tap where he graduated with a BFA in Dance. 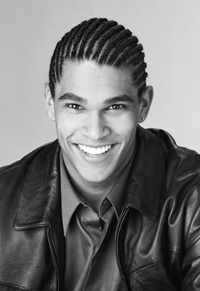 Raymon started his professional career dancing with the Cleo Parker Robinson Dance Ensemble in Denver, CO. There he performed works by modern greats Donald McKale and Milton Meyers. In addition to working with CPRDE, Raymon also performed with the David Taylor Dance Theater where he was featured in various roles including the Rat King and Arabian. Raymon continued his dance career commercially in California working in Los Angeles and San Diego. His highlights include Pepsi and Ford commercials and a music video for Jack’s Mannequin. Raymon performed with Fusion Dance; the company’s Jazz-Modern blend features works by Susan Quinn and Amy Ernst. Raymon’s students can be seen in various national commercials and his tap and hip hop choreography has received national recognition. He continues to teach and choreograph in San Diego and Temecula, CA, as well as nationally with Fusion Dance. Dancer, choreographer, and Master Teacher, Lilian Manansala has a passion for the arts, teaching, and performing. She trained at Retter’s Academy of Dance under the direction and guidance of Darryl Retter and Linda Bernabei-Retter, and was a faculty member and studio manager. Lilian’s performances include Concert of Love, Choreographers Carnival, Tremaine Scholarship Showcase, Jazz Dance L.A., PDS Fall Ball, Pops Goes the Century, Broadway Dance Center Showcase, City of Hope, Spectrum Dance, Friends in Dance, and Move to Groove Ball, among others. Lilian has taught for Al Gilbert Seminars, DMI, and tamjams, and has assisted Master Teachers on Tremaine Conventions, Encore Convention, Dance Masters Association, and Hoctor’s Dance Caravan. She was co-founder and co-director of the contemporary companies abbybruce company of dance and [kaslem mmrmg], and is currently a member of and choreographer for ACFCLA (Artists Community for Change in Los Angeles). 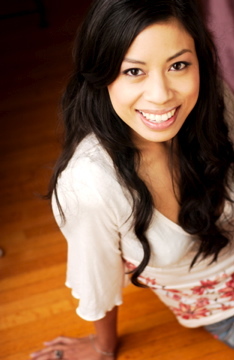 She is also teaching for ESTA (Empowement & Self-Esteem through Theater Arts) working with inncr-city youth. Assistant Director and an instructor for tamjams since 2001, Lilian has travelled throughout the United States teaching master classes and choreography. In New York, she taught at the world-renowned studio, Steps on Broadway and at Dancespace. Lilian co-directed Southern California-based R & B Dance Company from 2002-2007, and has modeled for costume company, Stagewear L.A. Lilian has choreographed for and appeared in Disney’s That’s So Raven and Cory in the House, and has choreographed for Sonny with a Chance and Good Luck, Charlie. She has choreographed for R & B vocal group, SX4, and worked with Diva Trip. She has also taught at the Fairbanks Summer Arts Festival, 2005-2008, in Fairbanks, Alaska. She choreographed the pilot episodes for Disney’s Hannah Montana, Keke & Jamal, and Better Days and has choreographed for the Cartoon Network’s Out of Jimmy’s Head. Most recently, she choreographed for abcfamily’s Pretty Little Liars. Her Rhythm Machine Company piece, Arabia, performed at the 49th Annual L.A. Holiday Celebration at the Dorothy Chandler Pavilion, which was telecast on KCET and received an L.A. Local Emmy nomination. She has also danced with Ashley Argota from the Nickelodeon Show, True Jackson, VP and performed in the award-winning Cabrillo Music Theatre’s production of King and I, starring Deborah Gibson. Lilian choreographed and performed in an indie event to help raise awareness for the organization ONE: The Campaign to Make Poverty History. She also attended UCLA and majored in World Arts & Cultures. Committed to compassionate empowerment, Lilian hopes to inspire a love and appreciation for dance, and most of all, a respect and pride in oneself.